Today’s the day! 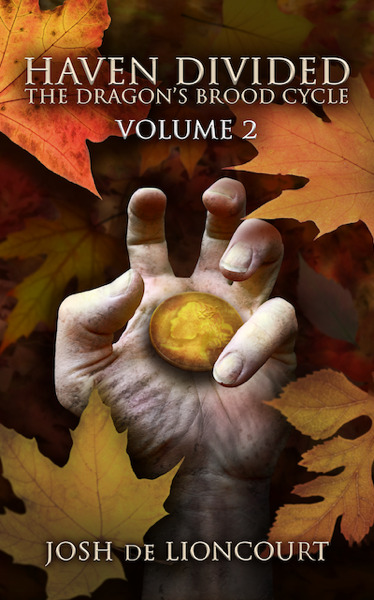 Haven Divided, the second volume of The Dragon’s Brood Cycle, has been released for Kindle worldwide. If you’re just getting started with The Dragon’s Brood Cycle, the first volume, Haven Lost, is free on Kindle for a limited time, as is the short companion story Harmony’s Song. You can also check out this guest blog post I wrote for Proof Positive. It’s been a long time in coming, and I’m incredibly proud of this book. Thanks to everyone who has stuck with me through this journey. I really can’t wait to see what everyone thinks of Emily’s continuing adventures.